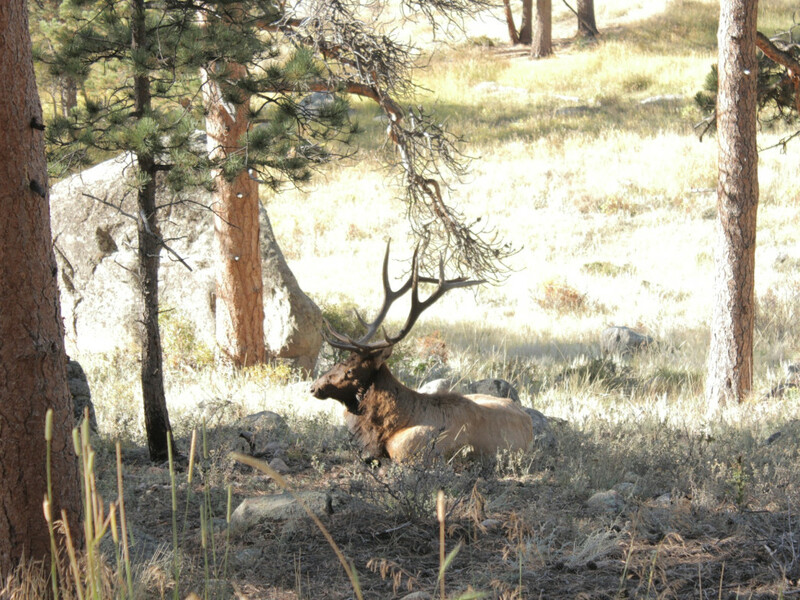 Every September and October, Rocky Mountain National Park becomes the stage for one of the great shows of the animal kingdom: the elk rut. In laymen’s terms, that’s mating season, when bull elk call loudly (the official term is bugle) and strut their stuff in order to attract and defend mates. It’s a great excuse to visit the park in a beautiful season, when leaves and grasses take on muted hues of orange and red, and the primal call of nature is on full display. The best part is, viewing this spectacle is easy—you’re almost guaranteed a front-row seat. To get the most out of elk viewing, it helps to understand a bit about their behavior. 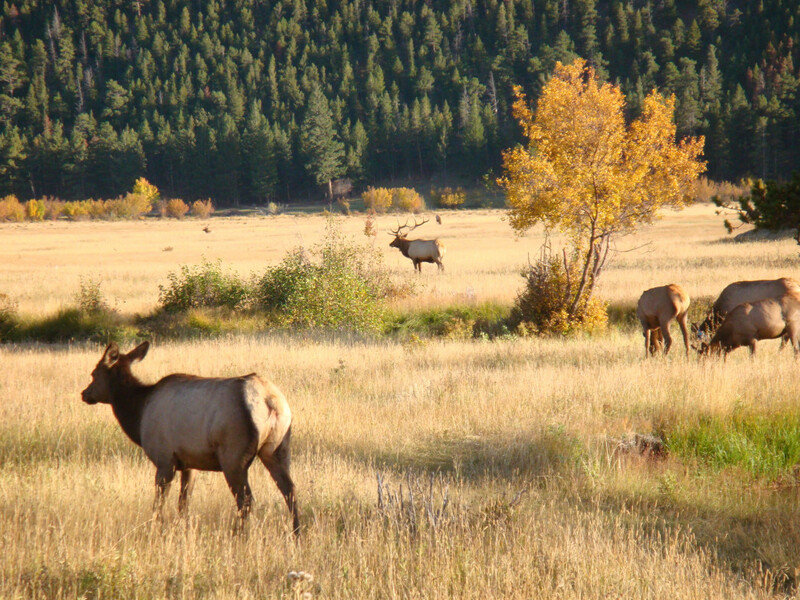 During the summer, elk roam the high mountains in separate groups of males and females. Come fall, they descend to lower elevations to mate, gathering in large herds in the meadows of Rocky Mountain National Park. And then the show starts. It’s not unlike teens at a high school dance. A bull elk’s goal during this time is to gather a group of females (a harem) for mating—but it's easier said than done. Collecting and defending a harem is a full-time job, leaving bulls with barely enough time to eat. To prove their strength, bull elk bugle, making a loud sound that resembles a scream and ends with a series of grunts. You’ll know it when you hear it echoing across the meadows, lingering in the crisp autumn air. Bugling attracts females and wards off other males. A bull with a harem aims to keep challengers at bay at all costs. To add to the intimidation effect, bulls strut about, displaying their necks and antlers, and stomping their feet to demonstrate their strength and dominance. Sometimes they even take it a step further and spar with other males—locking antlers and pushing against each other. Try to stick around long enough to see this action; it’s quite a sight. To check out the elk rut, head to Rocky Mountain National Park in the evening (peak elk activity occurs between 5 and 7 pm). 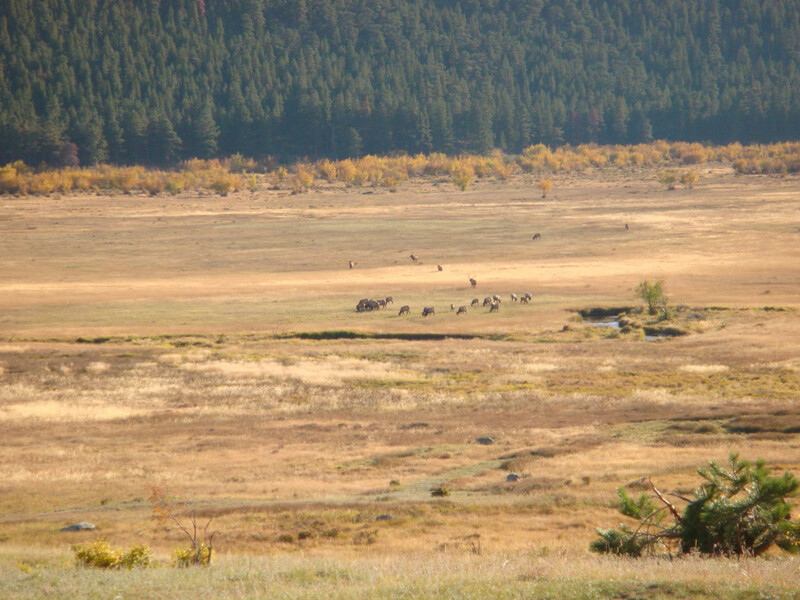 Beeline for Moraine or Horseshoe park, large meadows where you’ll likely see dozens of elk moving around in separate groups. Look closely and try to figure out what’s going on. Can you tell which females are with a certain male? (The males are the ones with antlers.) What’s that bull doing to keep his harem together? Is another male infringing on his territory? Does a bull elk look like he’s putting on a show? Who’s bugling? Why? 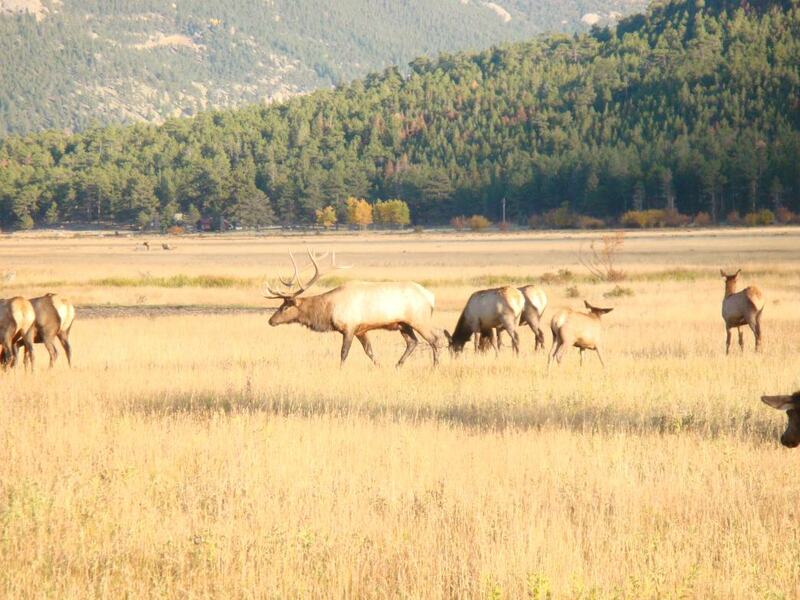 If you’re really keen on soaking up the full spectrum of the elk rut in Colorado, head up to Estes Park for the Elk Fest from October 3-4. 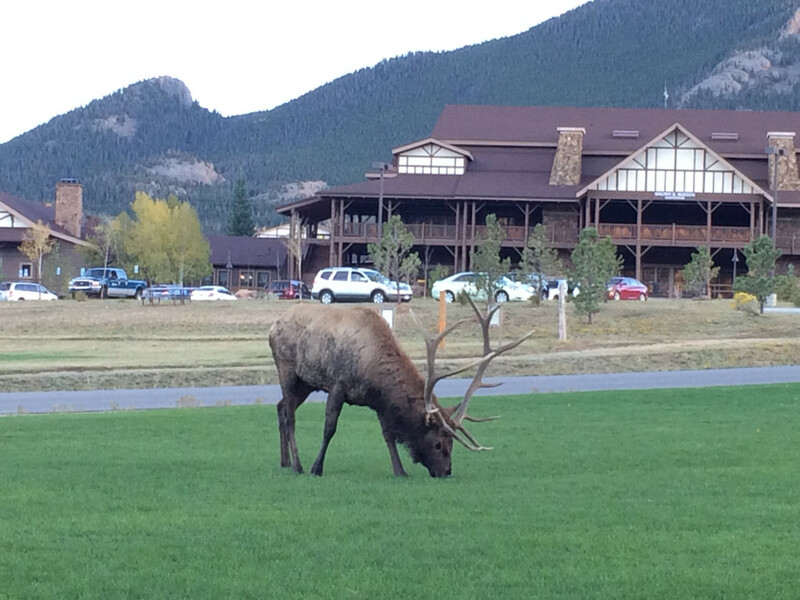 This fun-filled weekend includes educational seminars, storytelling, bugling contests, live music, self-guided elk tours, and more.